Two mice were good friends. One of them lived in the countryside while the other lived in the town. One day, the country mouse wrote a letter to town mouse inviting him to his village. After receiving the letter the town mouse packed his luggage in a brief case. He put a cap on his head and took his stick. Then he went to the village. 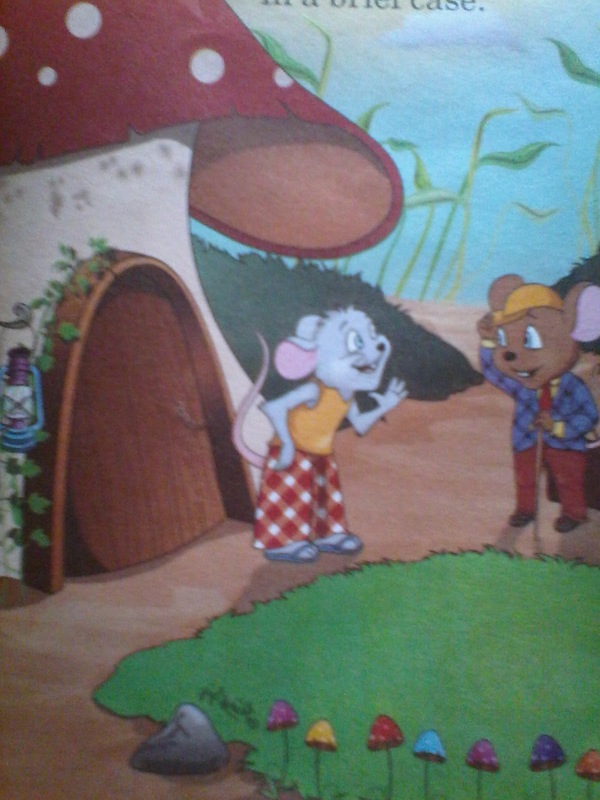 When he reached the village, the country mouse was overjoyed to meet him. Then he took him for a walk in the village. At lunch, the town mouse was served with fresh peas, corns, roasted grams and rice. The town mouse neither liked the small house of his friend nor he liked that simple food. He said: "There is nothing special to eat in your village." Later he returned in the evening. But before leaving he invited the country mouse to his town. He said that he would serve him with delicious food. The country mouse promised his friend. After one week, the country mouse packed his luggage in a sack. He hang the sack on a stick and went towards the town happily. He had never seen crowd of people and lots of cars as he had never visited the town before. He was scared. Meanwhile two cars passed at a very high speed. He had a hair breadth's escape. He then reached the house of town mouse. He had to knock the door many times. The town mouse opened the door and said, "My friend! You should have ring the door bell. It is a norm in the town. "The country mouse felt ashamed to hear this. His friend took him inside and said, "You must be tired so you should take some rest." The country was extremely hungry. He said, "I had my breakfast in the morning. But since then I have not eat anything. I am starving." The town mouse said, "It is difficult to fetch food now but let me try." He took the country mouse in the kitchen of a house. He opened a cupboard which was full of different food items. He tried to pick a box but it slipped from his hand and fell on the floor. A lady came towards the kitchen shouting angrily. She had a big stick in her hand. Both the mice were terrified. They managed to escape in a small hole. The town mouse said to his friend, "We shall go to some other place to find something to eat." The country mouse replied, "I am no longer eager for such delicious food and dangerous living." He picked his luggage and bid farewell to his friend. The town mouse was ashamed and sad after his friend's departure.